Mondays, Wednesdays, Fridays 6-8pm in Multipurpose Room 2 @ Rec & Well. Note: The University of Minnesota is closed on Monday, January 20th. Reminder: If you are not a full-time student and would like to visit the club, please email judoclub@umn.edu. All guests must contact JC Officers to set up visitation. 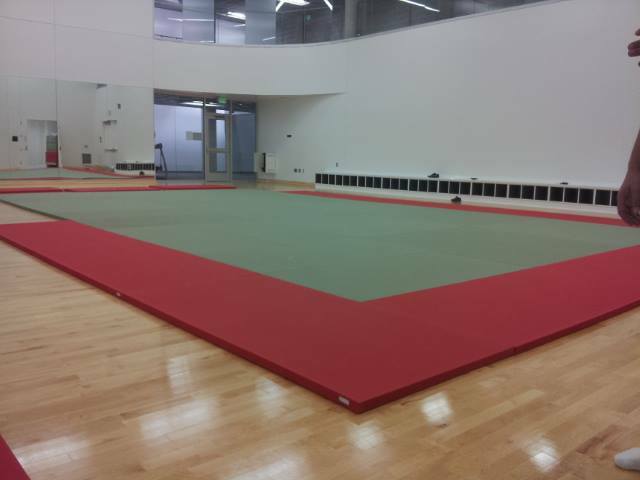 The UofM Judo Club is moving to the Minneapolis Rec Center! New semester hours are MWF 7-9 pm in the 2nd Floor Multipurpose Room. We will be at the Land of Lakes Open, come out and support us! We are always happy to see new people interested in trying Judo. Thursdays and Saturdays are best practices to attend if you have never done Judo before, but you are welcome any day. Please read the ‘Becoming a Judoka’ section before attending for lots of useful information. Hello to all University of Minnesota Judo Club affiliated members. This is a reminder that if you haven’t purchased Affiliate Cards for summer 2012 or paid membership dues, please do so. You can contact the club president, Luke Tucker at tucke237@umn.edu in order to do this. Cards for summer are $35, and membership dues are $20. No practice on Saturday the 24th or on Monday the 26th, Merry Christmas! We will be here on Wednesday and Thursday (28th, 29th) on winter hours 6-8 pm. No practice on Dec. 31, Happy New Year! Also no practice from January 1st- 6th as they St. Paul Gym will be closed. No practice this Thursday, but we will be here on Saturday if you want to come work off that turkey.